You will need to purchase all the supplies listed and wood with a high psi. The prices for wood vary from place to place. After built and assembled via the enclosed instructions, the unit will weigh approx. 120 lbs and will measure 8 ft high by 6 ft wide by 10 ft long. This is not a course in carpentry and you will need a person who has the proper skills to build them. Want to take Ashiatsu training, but don’t have a proper support structure for Ashiatsu Barefoot Massage? Alternatively, want to do demonstrations at outdoor events? 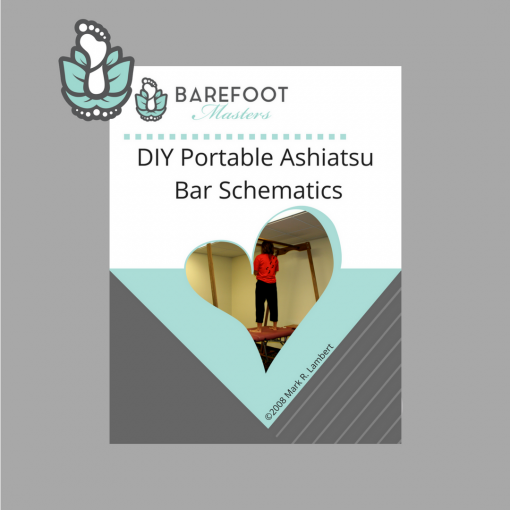 Ashiatsu Free-Standing Portable Bar Schematics are now available. The schematics contain a list of the supplies needed. Purchase all the supplies listed along with wood with a high psi. The prices for wood vary from place to place. Most of supplies are available at Home Depot. After the system is built and assembled via the enclosed instructions, the unit weighs in at approximately 126 lbs. The Portable Bar System measures 8 ft high by 6 ft wide by 10 ft long. It is not a course in carpentry. Use a person who has the proper skills and tools build them. The unit is not attached to the massage table, so it doesn’t matter if you use a hydraulic or regular table. Be sure table is strong enough to hold both therapist and client. Also, adjust the table height up or down from the bars, as the height of the bars is static. When you purchase the schematics, you agree to the copyright laws that protect them. Also, you agree that they are for personal use only. We take no responsibility or liability for the use of the bars. Please note: There are no returns or refunds for the schematics. Furthermore, the instructions do not include equipment. The Ashiatsu Portable Bars break down into manageable pieces. However, we do not recommend them for mobile house call use. 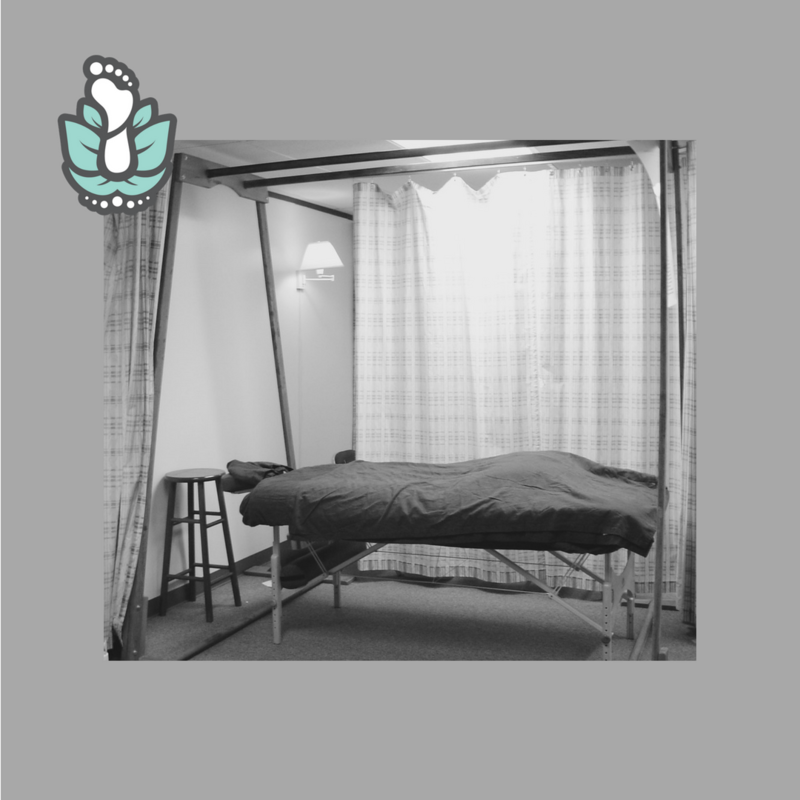 For mobile house calls we have the Portable Ashiatsu Floor Bars. Here is a video of the how to put the Ashiatsu Portable Bars together once built. Need Ashiatsu Massage Training? We offer classes via live workshops, in a self-paced home study program or an online course that is available 24/7. All of our courses are NCBTMB approved for CE’s. Michelle D. Mace, a 20 year veteran of massage therapy and an esthetician, is CEO of The Barefoot Masters® Inc. Our company develops continuing education that saves the hands and body of the massage therapist.